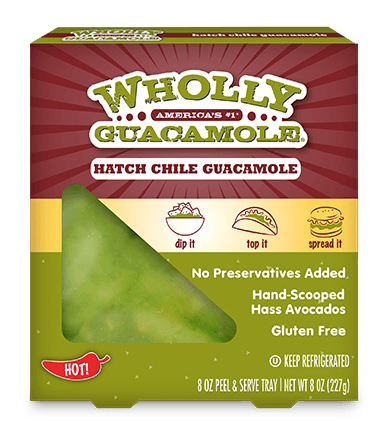 Spicy Hatch chiles make this guac perfect for adding a little heat to your meal. Plus no matter where you are, they’re always ready for you to dig into with an easy peel-and-serve tray. 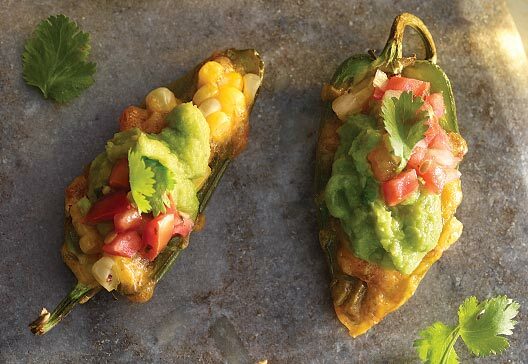 Hass Avocados, Hatch Chile Peppers, Green Bell Peppers, Onions, Contains 2% or Less of Jalapeño Peppers, Lime Juice, Salt, Natural Flavors, Cilantro, Dehydrated Green Onion, Sugar, Dehydrated Garlic.